hadow Fox is roughly 9 1/2 inches long nose to tail tip, in reality 17.3 meters. She is 2 inches wide shoulder to shoulder (maybe a bit wider at the hips), width unknown to me in real life. Her hight is around 4 1/2 inches and 8 meters in reality. Her top speed in real life is 290 kilometers per hour. Oh, I've wanted to fill this part out... Shadow Fox is a great model. Her tail moves up and down into two poses and opens to find a removable net-launcher. Her head-neck joint can go up, down, and side to side. Her neck-body joint moves up and down. Of course the Vulcan is fully poseable. The gold-on-black-on-silver really works out great. Very simple and smooth with not a lot of added bulk. the cockpit doesn't close all the way but it is firm and doesn't open when you turn her upside down. Not a bug but, the legs are one-pieced. 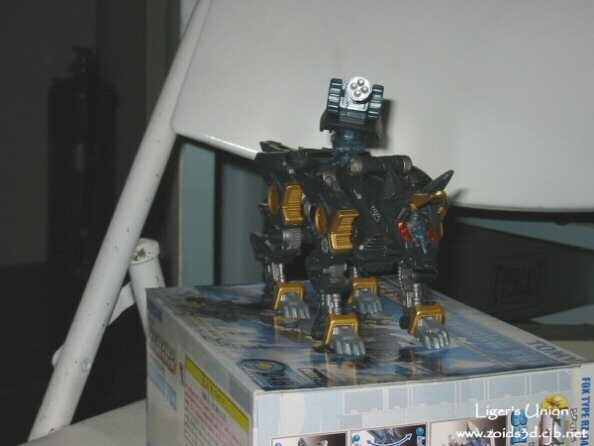 I had just built the Geno Breaker so I was used to legs with 3-10 parts. Also, the silver part on the side of the gun fall off now and then. The net-ejecter in the tail comes out of the tail to become a sort of 'key' to turn the wind-up. Powered by a small wind up motor. 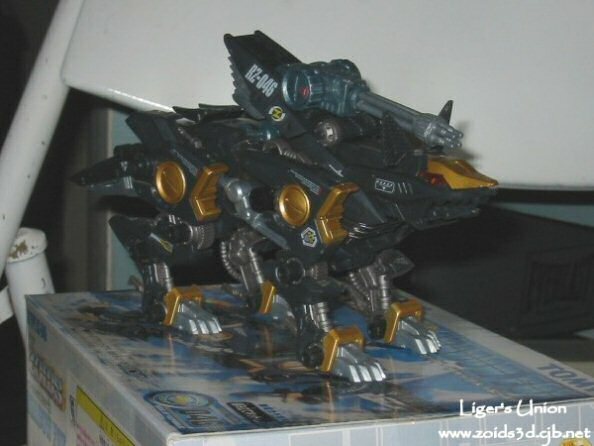 Lovely zoid, not many flaws and the flaws she has are minor. Quite detailed and well painted. Second favorite to my Blade Liger Black Impact. If your new at this, throw away the Molga or Heldigunner and get Shadow Fox, she's simple but your result is awesome.